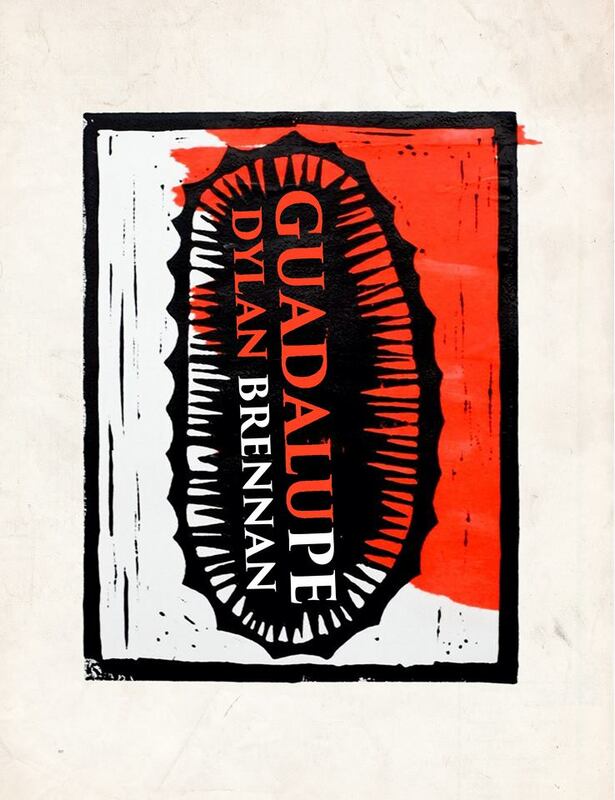 Coming very soon: a new eBook from Blood Oranges author Dylan Brennan. We are excited to be bringing you this collection of wild non-fiction pieces from his time in Mexico, complemented with illustrations from Jonathan Brennan. Noche de rábanos. A giant flea nursing a bottle of mezcal, a bug-eyed parrot swaying in the evening breeze, a pastoral tableau, an abundance of nativity scenes. We duck in through a gap in the railings to get to the interior where something vile awaits us amid the posters and the placards—his perfect teeth surrounded by this crimson mess of exposed flesh. We didn’t ask to see this and we move away, drifting the choppy rivers of brass bands that march down the streets, each trying to drown the other. Trucks with children dressed as angels and shepherds followed by dancing girls with magnificent layered skirts and men holding bamboo framed giants with papier mâché heads. All dance and twirl, multi-coloured dervishes enraptured in their shared dreams. Earlier I’d seen a boy play a sousaphone he’d fashioned from plastic water bottles, begging for cash. I look for him now but, of course, he doesn’t feature. This event is important—these instruments impeccable. Metallic and polished they twinkle in the night. Fireworks exploding and a rain of sulphur and primary colours bathes us all in its pungent glow. Children everywhere, pregnant girls everywhere and the blank stares of the normalistas in the background—all is magnified, all there is to be gobbled up like fried grasshoppers, life and death in every blink. Prawn bisque with roasted almonds, piping hot turkey with a fruits of-the-forest sauce, stuffing infused with apricot purée, pears soaked in aniseed and red wine with cinnamon ice-cream. The noise of the fireworks and the parading mojigangas diminishes slowly while we eat. After coffee a little girl plays an accordion on the corner and I give her some coins. Back to bed through the zócalo, a shrine of purple candles and lights in the shape of 43. A text message from the local news service tells us Peña Nieto, the charm president, the haircut president, wishes all a happy Christmas, a peaceful Christmas and an end to violence. A poster picture of that boy with a young lady and a baby in his arms and I wonder if, in their dreams and memories, that smile will return to them or if they’ll be faced with an abomination, red and despicable and on the shores of obsidian sleep I wonder what they did with his eyes and I close my eyes.